Charlie Sheen may or may not be “winning,” in life, but he has won a rare honor: the “Fastest Time to Reach 1 Million Followers” Guinness World Record. Guinness community manager Dan Barrett says the agency “just researched and approved” the record this morning. According to Barrett, Sheen reached that milestone in 25 hours and 17 minutes. 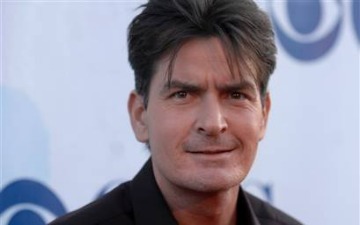 As of this writing, Sheen’s Twitter account, @CharlieSheen, has close to 1.2 million followers. Guinness did not have a previous record for that category, Barrett says. Sheen also set a Guinness record for “Highest Paid TV Actor Per Episode — Current” at $1.25 million. Sheen joined Twitter March 1. In a matter of minutes, Sheen acquired more than 60,000 followers and a Klout score of 57 — without even tweeting. According to a report in Advertising Age, Sheen was able to get his account verified so quickly because Internet startup Ad.ly brokered his account with Twitter. Sheen, of course, has been all over the news since he publicly disparaged Chuck Lorre, producer of Sheen’s successful sitcom Two and a Half Men in a bizarre interview with Alex Jones of InfoWars last month. Since then, Sheen has been interviewed by various other high-profile outlets making equally odd statements. The public meltdown has made Sheen a continual trending topic on Twitter and the subject of several YouTube parodies. For Guinness, this is the second high-profile application of the brand’s records system to social media. Last month, the Nabisco cookie brand Oreo and rapper Lil Wayne squared off for the record for the most Facebook likes. Lil Wayne won that contest handily. Image courtesy of Flickr, Ash90291.